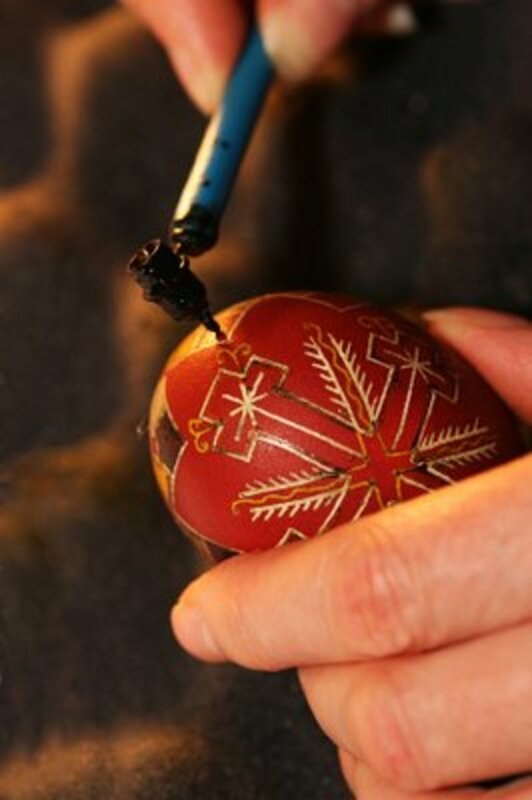 Pysanky eggs are hollow egg shells with detailed designs, made by putting wax over dye to preserve it, then melting it all off at the end. Our family's cylinder of Pysanky eggs. Which one's your favorite? Now you have a hollow egg shell! I wanted to share with you an Easter egg with a short story on it. The words swirled down, then flipped around and curved up! Notice that word, Galinda? That's from the musical Wicked - One of the best musicals ever! I made little stars all over the place - it took a while. Globe Easter egg! This is one of my favorites, but very difficult to transfer all those shapes from a map to an egg. Strawberry egg! That was fun to make! I love this 'wild growth' flower egg. I had the hardest time getting all the right colors! Scribbling is great for kids and has an awesome outcome! Thanks for reading! Come back later for a St. Patty's day post!